Garage Door Opener Experts in Austin TX. The garage door is a point of entry used not only by homeowners, but by thieves and intruders. This door needs to be well-secured and kept in good shape at all times. To do this, you need to have a reliable partner to keep its purpose of providing high security for you and your family. Whenever you are in need of garage door opener Austin professionals, first think of Chameleon Overhead Doors. We do not only specialize in garage door openers of all kinds and brands but also in the repair, restoration, replacement, installation and other complex needs of garage doors. Locally-owned and operated, Chameleon Overhead Doors, LLC is your certified garage repair experts in and around the Austin TX area. We have the capability to provide services to wide vicinity. Thus, we are highly reliable wherever you may be. With several years of experience, we have proven ourselves worthy of the trust and confidence our customers have bestowed upon us. We only provide the best services and continuously acquire more knowledge with each and every technological development that transpires in the garage door industry. By getting our services, you are assured of getting only the most efficient technicians in Austin. We employ highly-trained and skilled personnel who are passionate and committed with what we do. To add proof to this, we are also bonded and insured to provide services beyond customers’ satisfaction. Although garage doors have different kinds and brands, our company is up-to-date and equipped with the right information and technological advances required in order to deliver revolutionary security to every home. Do you want to have fast and easy resolution for your garage door problems? Your Chameleon experts are trained to provide quick but thorough services for garage doors and openers. We do not leave your home without ensuring that your garage door is working flawlessly. 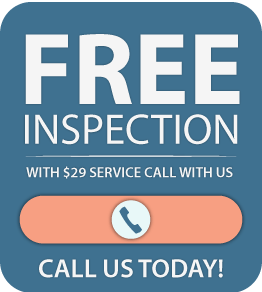 We know the best solution to every garage door issue and we do meticulous examination to determine the root of the problem. Our aim is not to sell our products or force you to upgrade your garage door, but to provide what only is required with genuine sincerity for your safety and the needs of your garage door. 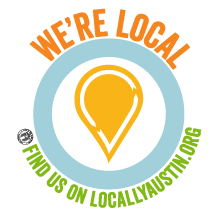 To provide utmost reliable service in Austin and its surrounding areas, we are open from 7 in the morning to 9 in the evening. You can call and ask for an upfront estimate free of charge. Expect to be acquainted with a business that serves for you and your garage door’s best interest. Keep your garage door in tiptop shape by partnering with the most dependable garage door experts in the business.